LINZ is once again a sponsor of New Zealand’s biennial Children’s Map Competition. The theme for 2019 is “We love maps”. There are four age categories: 13-15 years, 9-12 years, 6-8 years and under 6 years. The winning entries in each category (1st, 2nd, 3rd places) will receive sponsor prizes. The school of each 1st place winner will receive a special laminated LINZ topographic wall map, custom centred on the school. The 1st place winners in each age category will become New Zealand’s entries for the 2019 Barbara Petchenik Children’s Map Competition. This international competition will be judged and exhibited at the International Cartographic Conference in Tokyo, Japan, 15-20 July 2019. 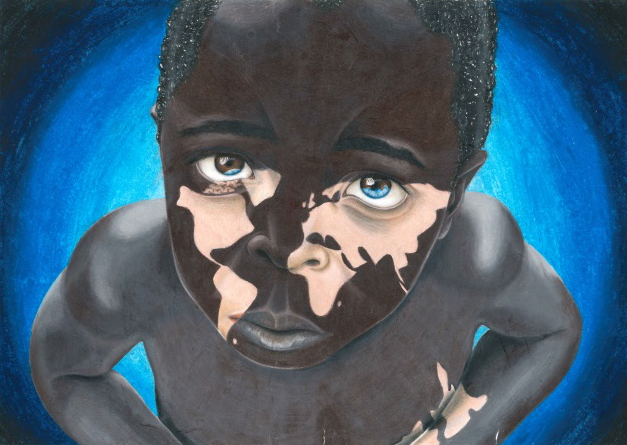 Two New Zealand entries (shown below), from students at Tauranga Girls College and Bishop Viard College, won 2nd place in the 13-15 years category (top) and co-won the Creativity prize (below) at the 2017 International Children’s Map Competition in Washington, D.C.
View all of the NZ winners from 2017. 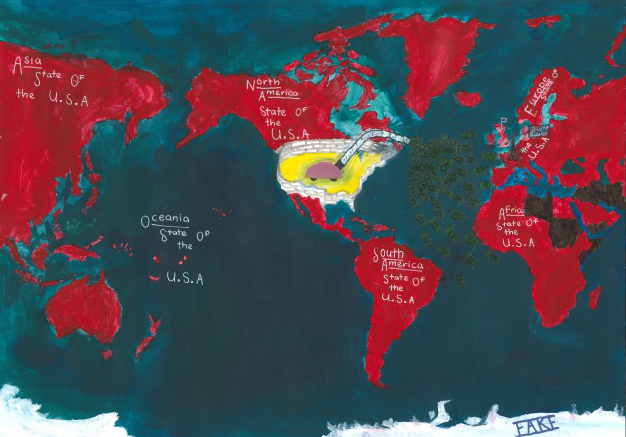 The NZ Children’s Map Competition is organised by the New Zealand Cartographic Society. If you know any schools, teachers or students who may be interested in the competition, then point them to the New Zealand Cartographic Society website for further information and entry forms. Entries close 22 March 2019.